The forest - the source of fairy tales. 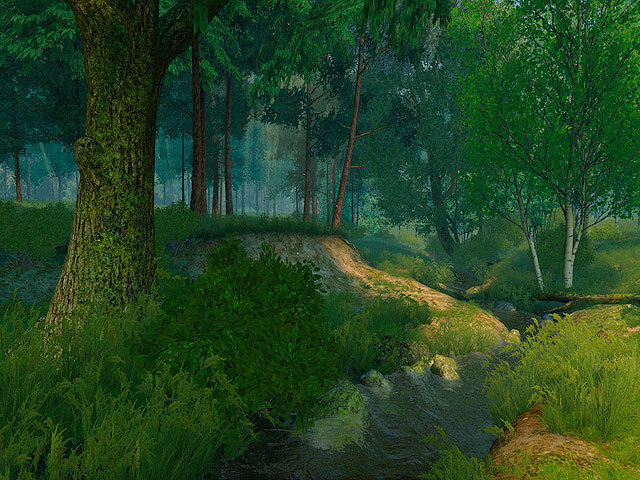 Install the new Summer Forest 3D screensaver and be transported to the sunny edge of a wood perfect for daydreaming. Let the invisible fairy touch you with her magic wand then give free rein to your imagination! Relax in the pine forest and restore clarity to your eye, keenness to your mind and serenity to your heart. The forest in this 3D screensaver is so inviting you\'ll feel like having a picnic!